Cedar, tamarack, alder, and other swamps; fens, wet thickets. 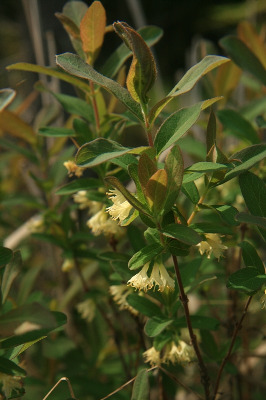 A northern species, by some authors included in the Old World L. caerulea L. Unique among our species in having dark blue fruit without a conspicuous involucre; fruiting plants are often mistaken for a blueberry, though easily identified by the opposite leaves. MICHIGAN FLORA ONLINE. A. A. Reznicek, E. G. Voss, & B. S. Walters. February 2011. University of Michigan. Web. 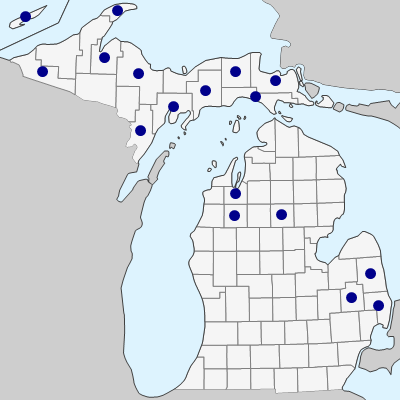 April 19, 2019. https://michiganflora.net/species.aspx?id=728.